Ford‘s latest Focus is only just arriving on UK roads, and now the build-up to the launch of the hot ST version of the Mk4 model has begun. The Volkswagen Golf GTI rival is due to be officially revealed at Ford’s own event early next year rather than at the Geneva motor show, as first thought. Ford will be skipping another major European motor show, after not appearing on the stands at the Paris show earlier this month. 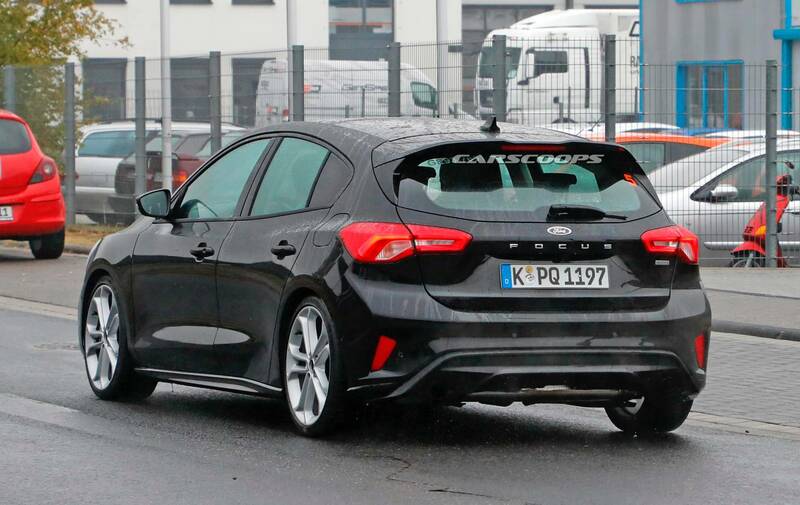 An official unveiling might be a few months off, but undisguised prototypes are already being caught testing at the Nurburgring, as pictured. It’s clear that the bodywork revisions will be subtle, including unique front and rear bumpers, larger wheels and ST badging. The biggest news, however, is under the bonnet. The latest generation of Ford’s Volkswagen Golf GTI rival is set to ditch the old 2.0-litre engine for the proven 2.3-litre EcoBoost unit seeing service in the current Focus RS and Mustang. 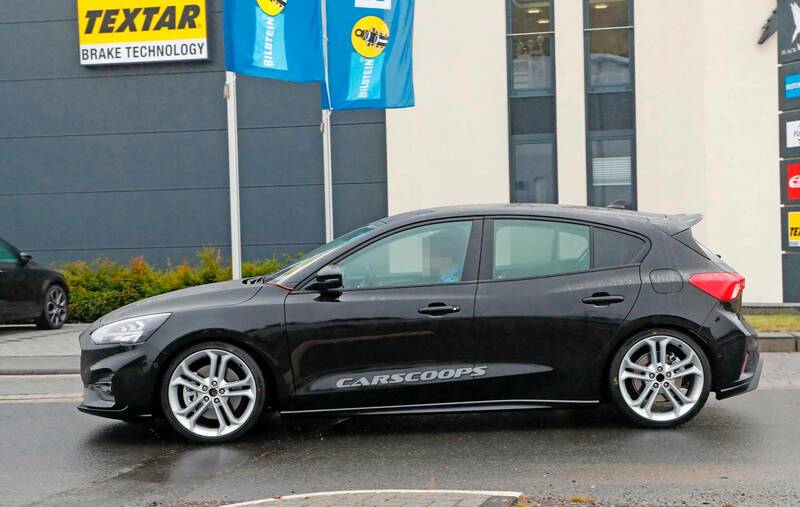 It’ll be the last Focus ST to use a powertrain absent of hybrid technology. 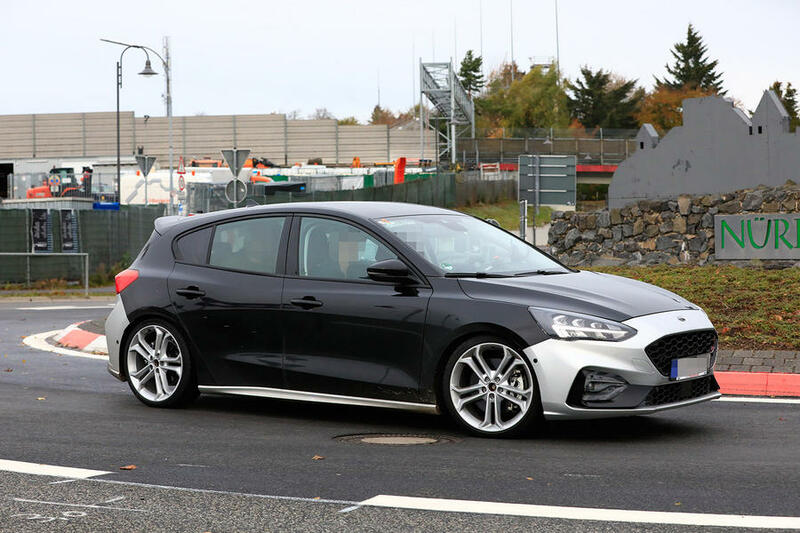 The 2.3-litre unit will share a great deal of its internals with 345bhp Focus RS engine, but it will be detuned and adapted for use in the front-wheel drive ST. Since the next RS is due to kick-start hybrid power for Ford’s hot models from 2020, the upcoming ST will also serve as the final chapter in pure combustion power for Focus hot hatches. Ford is understood to have chosen the 2.3-litre powerplant, rather than a more powerful version of the 1.5-litre three-cylinder featured in the new Fiesta ST, because the smaller engine would have to be run close to its reliable limit in this guise. The Focus ST competes against the Renault Mégane RS and Peugeot 308 GTi, which come with 276bhp and 266bhp respectively. The 2.3-litre, on the other hand, which offers up to 370bhp in the Focus RS Red Edition, can be more practically tuned for the Focus ST. It’s due to come mated exclusively to a six-speed manual gearbox, with no Powershift automatic option. 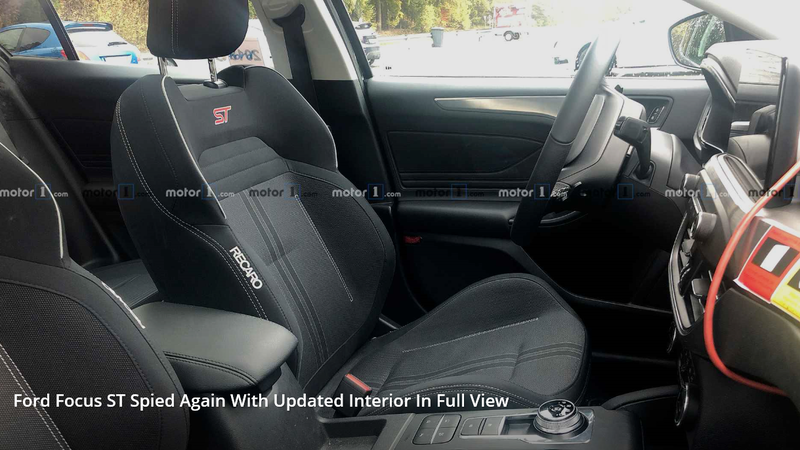 This change signals a clear driver focus for the new model, suggesting that the next Focus ST will be a more enthusiastic and playful car to drive. 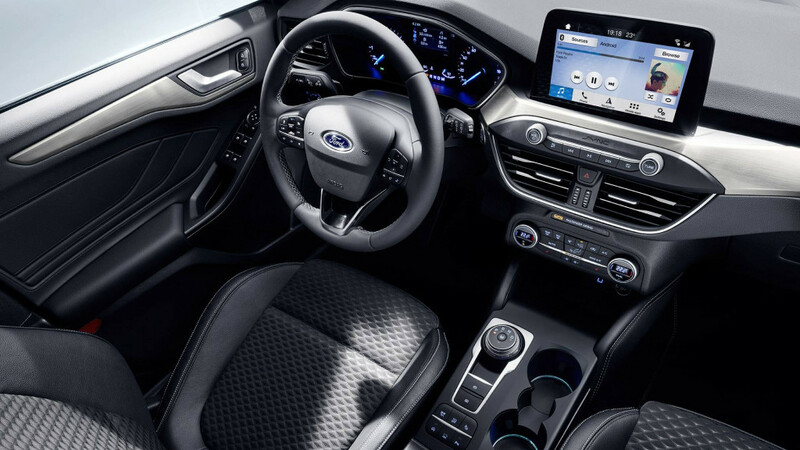 The latest Focus arrived in April with claims from Joe Bakaj, Ford of Europe’s vice president for product development, that it will offer “that fun-to-drive feel” earlier Focus models were famous for across the line-up. The ST will, of course, take this to the next level. 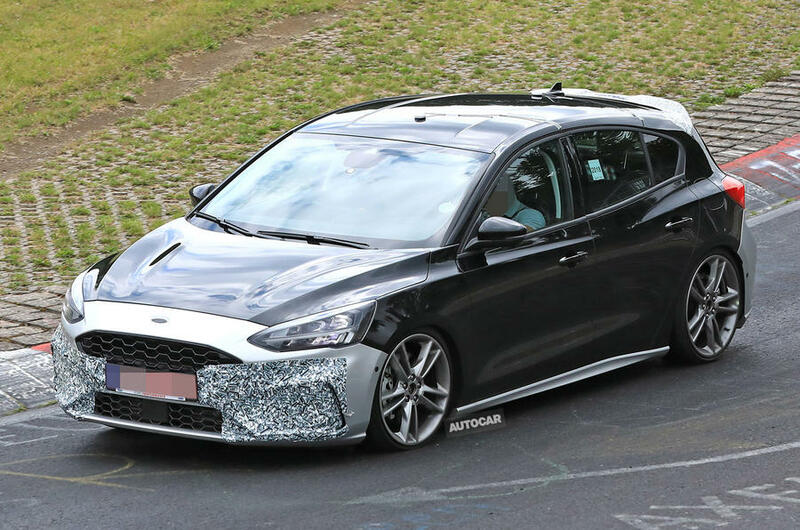 Styling will also be more subdued than present, too, with the latest development car showing that the Focus will get a more conventional twin-exhaust setup in place of the car’s current polygonal tailpipe. 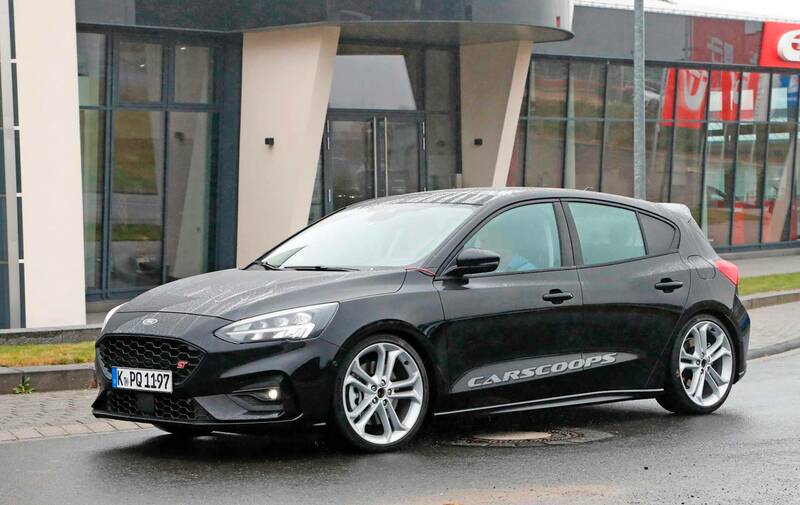 The new Focus is also said to be 88kg lighter, like-for-like, than the old car, suggesting the ST could shed some kilos from the old car’s 1437kg figure. 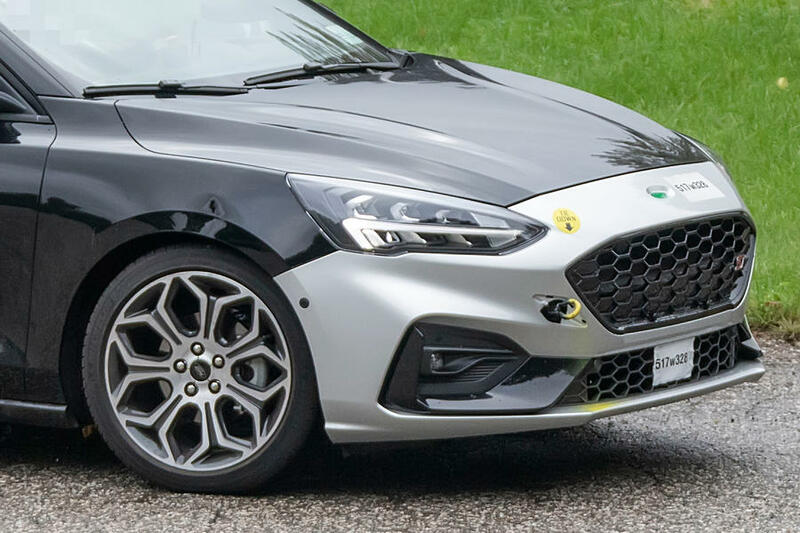 Its structure is claimed to be 20% more rigid, with a 50% improvement around the suspension elements, which should provide Ford engineers with the opportunity to improve the ST’s agility without compromising ride quality. This has certainly been the case with the new Fiesta, which has received similar improvements over its predecessor. 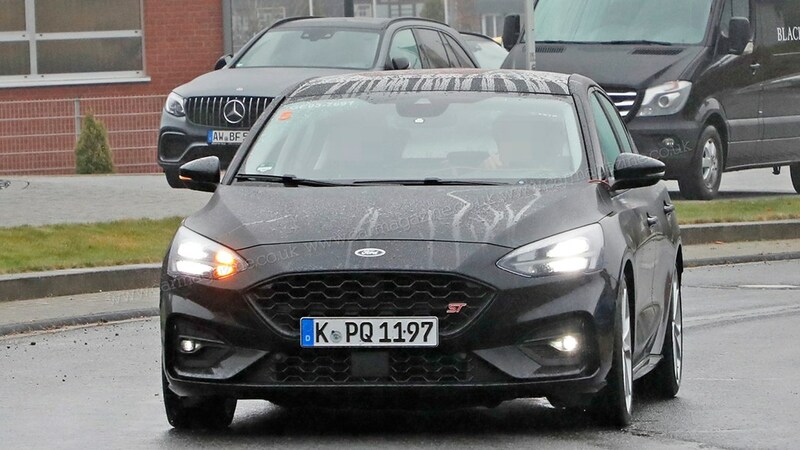 Ford had planned to launch its next Focus ST at the end of 2018, but Autocar has learned that the Blue Oval brand has pushed back the car’s arrival into 2019. Sales are expected to begin before the first half of next year is out. 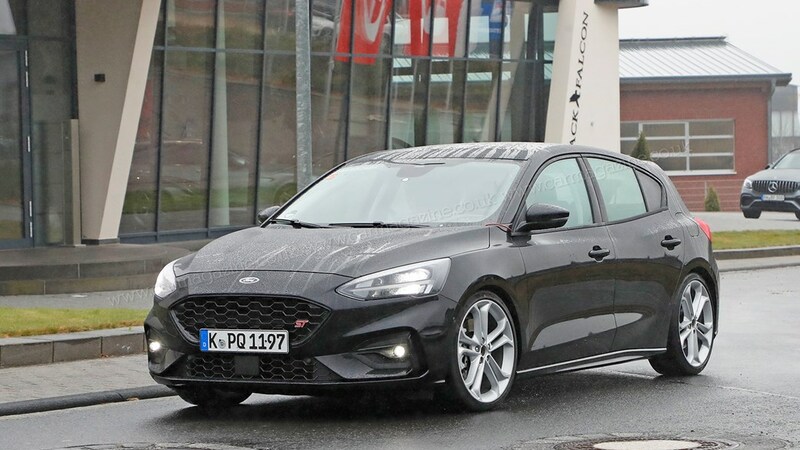 The Focus ST will remain the most potent version of the Focus on sale until the next-generation Focus RS arrives in 2020. As scooped by Autocar, that car will use a smaller 2.0-litre engine mated to a hybrid powerplant that’s based around 48V architecture to offer 400bhp. Last edited by ST2Focus; 10-24-2018 at 01:25 PM. Great tech, but I certainly prefer the looks of the Mk 2 and 3 over that. And the new RS is planned for release in 2020, just a year after the ST?! Aren't they rushing things? 2014 Tangerine Scream ST3 named "Angie"
18x9 Forgestar F14s in "Sun Gold"
Again, who cares as they’re not coming to the US. But Ford will give us plenty of boring @ss crossovers & SUVs’, to channel our inner Soccer Mom!